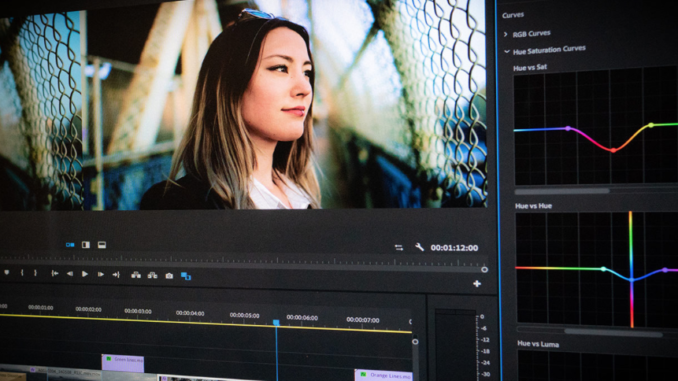 With the latest update to Adobe Creative Cloud, Windows users can finally natively export to Apple ProRes in Adobe Premiere, Media Encoder, and After Effects. No more third party export utilities required! Apple ProRes has been read only on Windows devices for quite some time, which was great for importing and viewing within Premiere, but if you wanted to output your master to ProRes, you were out of luck. Sure, there were several third party ProRes writing options, but they were hit and miss at best. Only Assimilate’s Scratch was able to do it consistently. But that option was out of the budget for many small post production budgets,, and many users would simply use a temporary license every time they needed to output a project piecemeal, which is OK in the short term, but more expensive and time consuming overall. The only other option would be to export to DNxHR, or GoPro’s Cineform codec. Consequently, that comes with its own perils, especially since Apple is abandoning legacy codecs, including DNxHR and Cineform, in future versions of macOS beginning next year. It’s not inconceivable to assume that other companies will follow suit, as we move farther away from 32 bit legacy options. 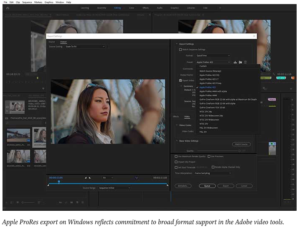 Promised back in 2017, Adobe has finally added ProRes export support, giving users and early present for the holidays, and it comes with Apple’s blessing and support. In all three Adobe applications, users can write to ProRes 4444 and 422. 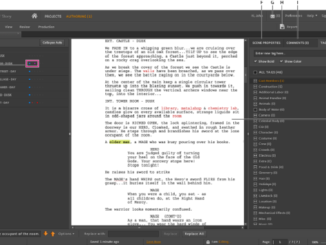 Users can also re-encode directly from Adobe Media Encoder on servers as well. This also opens a lane for turnarounds between platforms, should members of your team prefer to work on Mac, as opposed to Windows machines. 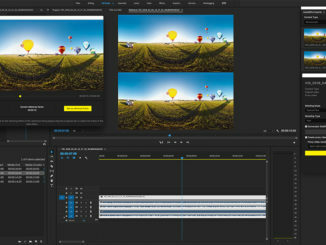 Moreover, Adobe Premiere vs. 13.0.2 and Adobe Media Encoder, the update has added support for Apple’s high efficiency image format (HEIF) created on iOS devices, and improved performance with decoding Canon Cinema Raw light footage on multi-core Windows machines. HEIF makes sense if you’re planning to cut on Premiere Rush on your iOS device and then move media over to Creative Cloud. 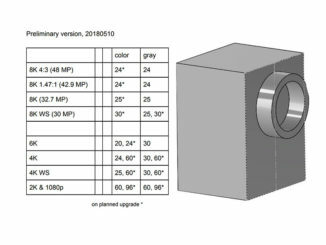 There is also support for importing of Rec2020 and PQ/HLG HDR media wrapped in a ProRes container. Media Encoder also fixes a few bugs, including where attempting to import H.265 files from Adobe After Effects appears disabled and offline. Media Encoder now won’t crash when trying to rename your ingest files with symbol characters like >>, /, and ?. Meanwhile, in After Effects, version 16.0.1 fixes issues with Mocha AE CC vs6.01 which include issues with playback controls, group layers visibility, and application crashing in either low resolution mode, or when exiting the interface. There’s also several bug fixes for using Blackmagic Video Assist and HyperDeck, and several others (list found here). For more information, and to read the release notes for yourself, visit the Adobe Blog linked above.